It had to be on the list didn’t it? There’s a fieldtrip in first year that the entire cohort goes on, and because it’s right at the start of the first year, it means that you get to know your fellow course mates. This makes lectures infinitely less awkward because you suddenly know more people. In the second year, you have the choice between pursuing a student led group project in either France or Ireland. 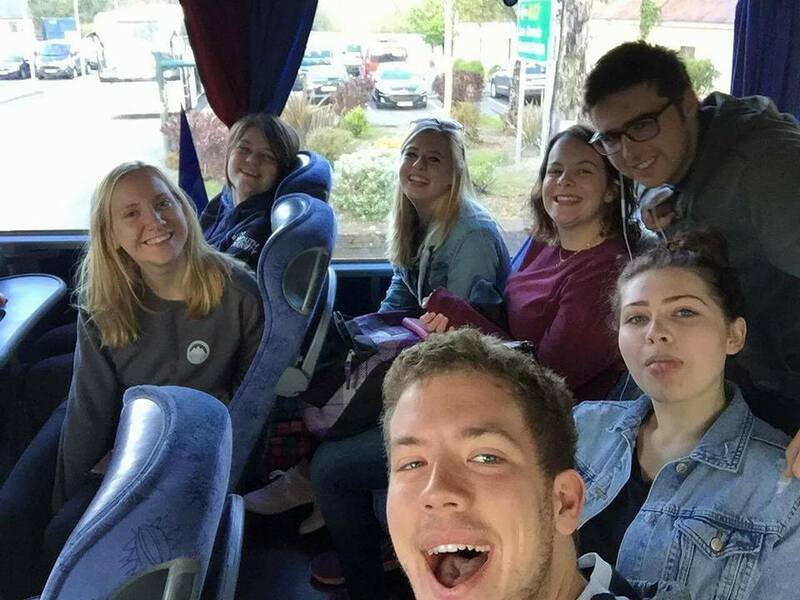 I went on the Ireland fieldtrip and probably made some of my favourite memories, including sitting in the back of an open truck on the way to a community farm. On top of this, during our second year, many modules had individual fieldtrips which related to the course. The cherry on top of the cake? These compulsory fieldtrips are FREE*. *transport and accommodation are included in the price of my tuition fee. We still needed to allow for our own spending money and sometimes food. There is a final year fieldtrip which you pay to go on. This is not compulsory, but by the accounts of those who choose this option, they have a great time and many continue travelling once the fieldtrip has ended. Past locations have included America, Iceland, Morocco and many others. In the second and final year of study, we are able to choose most of our own modules. This is a perk as you can study what you’re more interested in. In a subject as broad as geography, this is a big bonus! If I ever have any issues or I’m unsure of something related to the course, my personal tutor has been one of my greatest helps. I can always talk with them to clarify issues, and this goes for the rest of the staff too. GCSEs and A-Level exams bring me very bad memories, but in the first year you can’t avoid exams due to the core module assessment methods. There is a way around taking exams in the second and final years through module choice, but you have to debate whether a lack of interest would make up for not having to do an exam. Personally I found it more rewarding doing something I’m interested in, even if it means an exam. I know I’ve already called this as a positive, but unfortunately module choices aren’t extensive. The department has a wide range of experts that specialise in many areas, and they try to offer as much choice as possible. Unfortunately (and understandably) it isn’t feasible to offer every single possible option in Geography. One of the biggest learning curves that I initially had on this course was realising that Geography was a much broader and constantly evolving subject than I ever thought previously.